SSC answer key: The candidates can check the answer keys from the official website-ssc.nic.in. SSC answer key: The Staff Selection Commission has released the tentative answer keys for selection post Phase VI Examination, 2018. The candidates can check the answer keys from the official website-ssc.nic.in. The SSC selection post Phase VI Examination exams were conducted from January 16 to 18, 2019. 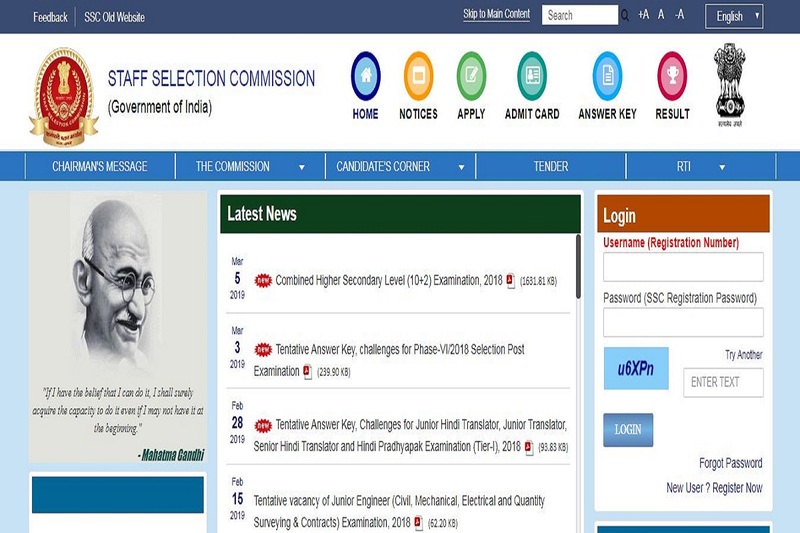 According to the official notification, “The tentative Answer Keys for the said Examination have been uploaded on the website of the Commission ssc.nic.in.” The candidates can check the results using their User ID and password. • On the page that opens, enter your user ID and Password and click on submit. • Check the answer keys and save for future reference. Direct Link: The candidates can check the answer keys using the direct link here. • The candidates can raise objections from March 3 to 6, 2019 through online method. • The candidates will have to pay an application fee of Rs 100 per challenge. For more information, the candidates should check the official website.